It’s paradise on earth – the beautiful Shungetser Lake at Tawang, said Arunachal Pradesh Chief Minister Pema Khandu on his time line. 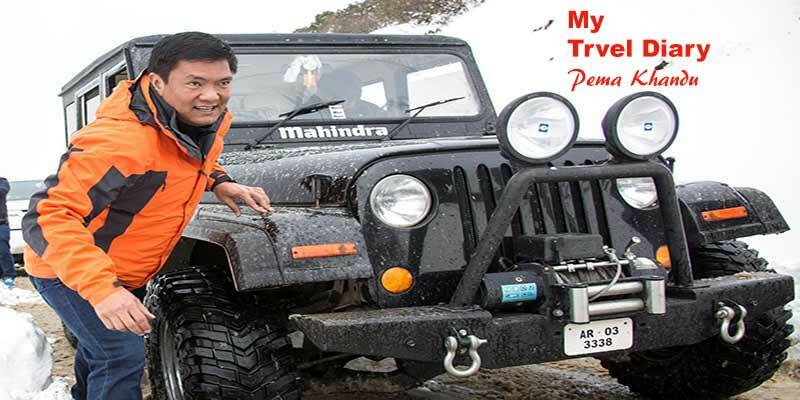 Pema Khandu who recently visited the picturesque lake in Tawang and shared some of the pictures on Facebook and Twitter timeline. Shungetser Lake is a picturesque lake, with dead trees seen standing in the water, after a bone jarring ride on unpaved roads! This lake was made famous because of a Hindi movie ‘Koyla’ s shooting for a song sequence with Madhuri Dixit in it. The lake was created by a flash flood following the 1950 earthquake in the Tawang region. It is about 42 kms from Tawang town and is also considered a sacred lake for the Buddhists. With weather in Tawang already at its best, the Shungetser Lake is draped in snow as the chief minister is seen enjoying his moments with his family and friends. The locals consider Shungetser as “one of few permanent things in this mortal world”. The etymology of Shungetser is neatly described on a signboard near the lake. It says Shungetser comes from Jang Nga Tseir — Jang Nga means valley and Tseir is grazing ground.